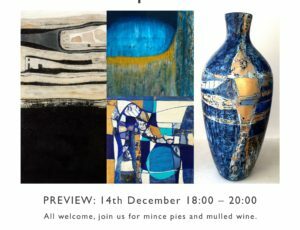 Private View: Friday 14th December, 18:00-20:00. 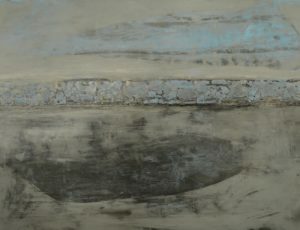 Following on from Stephanie Sandercock’s first exhibition at The Penwith, ‘Gwithian Rocks’ in 2016, ‘From Godolphin to the Sea’ explores the detail in the cracks and lines along the Cornish coastal rock looking out towards the Atlantic. 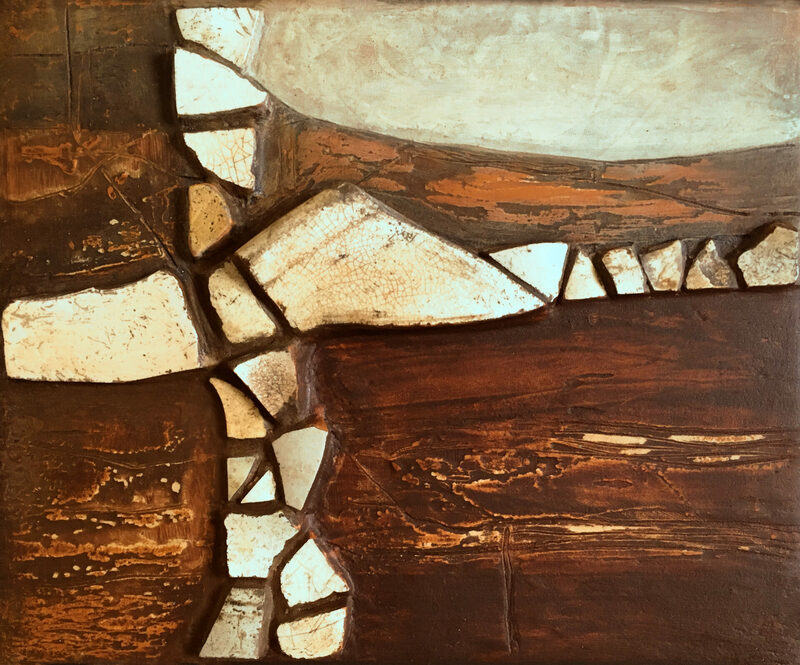 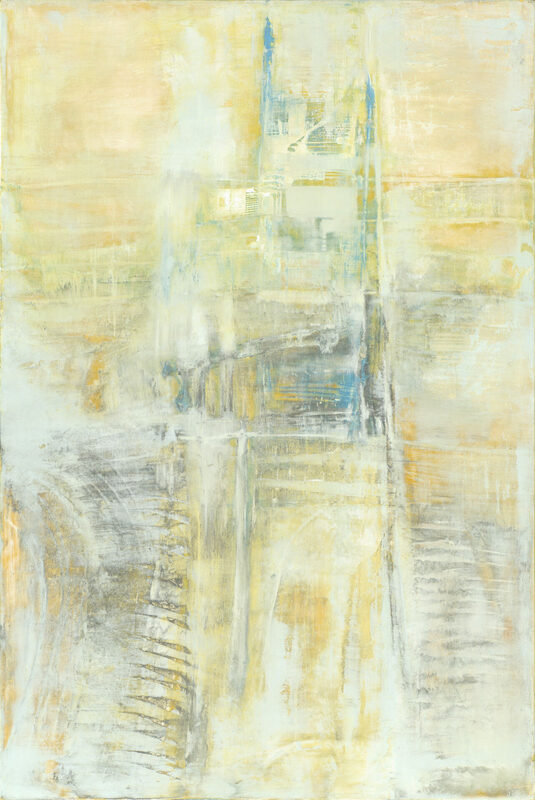 The show presents a collection of paintings and 3D artwork using Moroccan Tadelakt and Italian limestone with marble, including crystal minerals which form a seam through the rock, land or seascape. 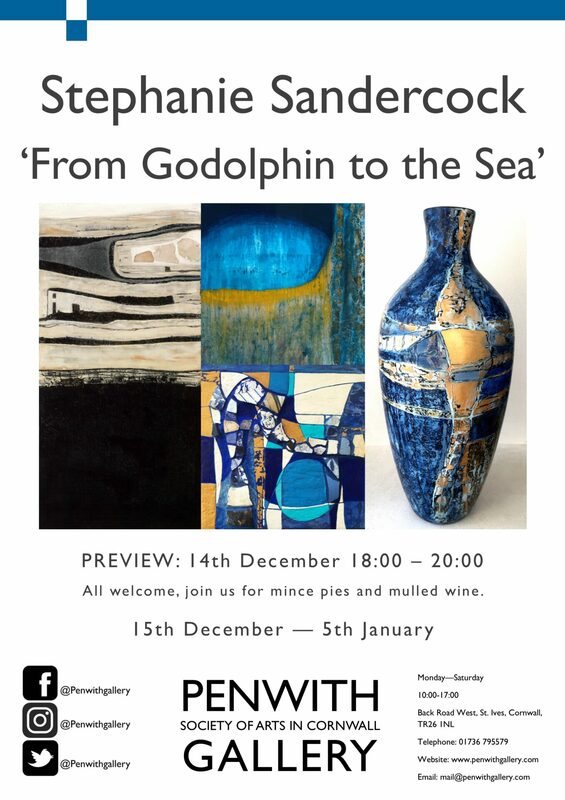 My first exhibition at the Penwith in 2016 was inspired by the beautiful rock face at Gwithian. 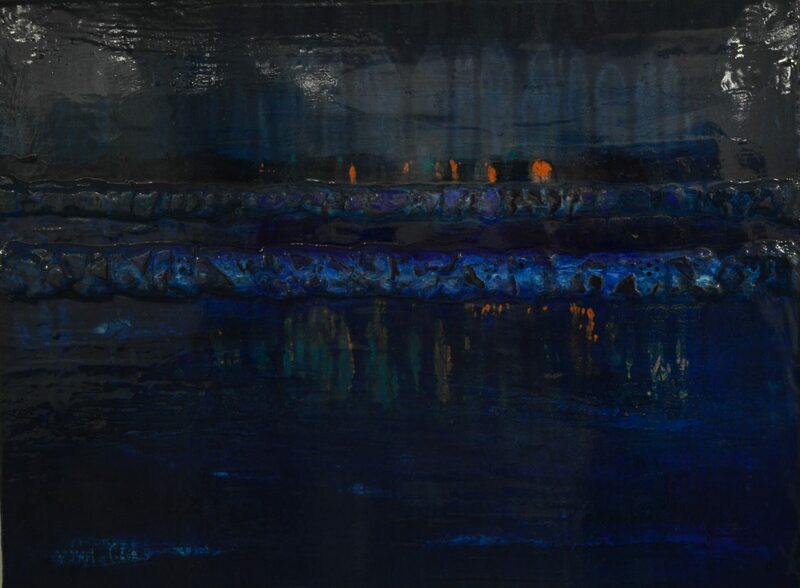 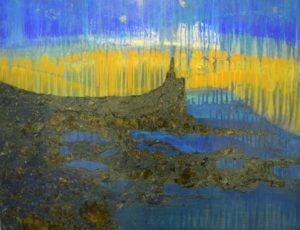 I moved to Cornwall two years earlier from Lancashire and found visiting the rocks very grounding and inspiring: as a result my painting changed dramatically. 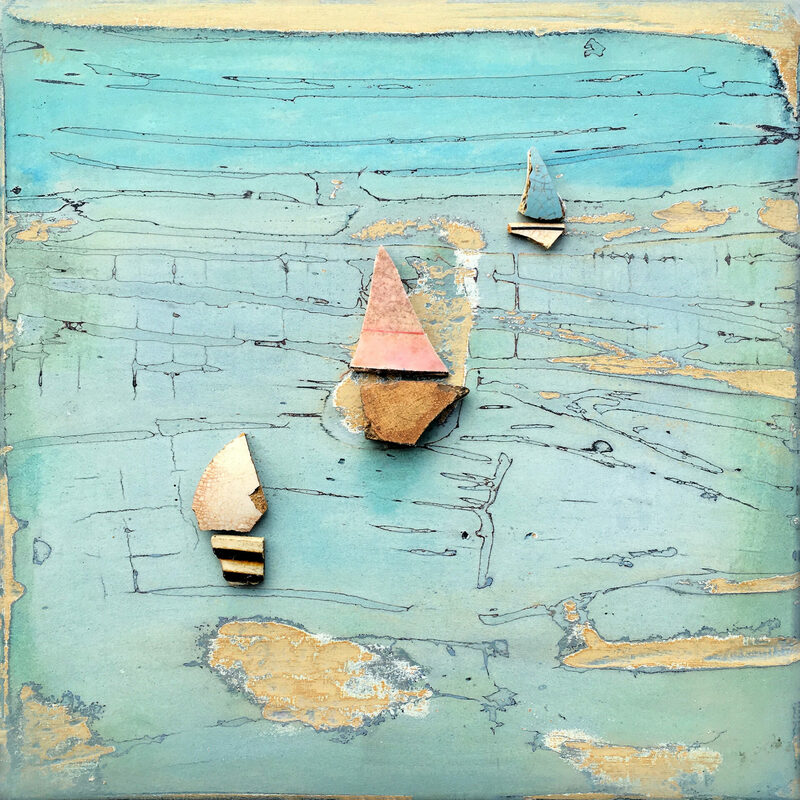 My attention is still on the cracks and seams of the rock but also towards the sea and surrounding landscape, and I’ve been experimenting with various plasters. 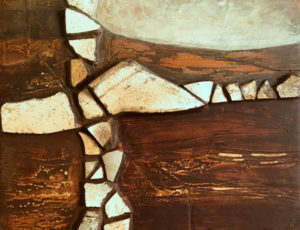 Moroccan Tadelakt and Italian Marmorino limestone with ground marble is beautiful to use and I’m adding mica in some of the work as it catches the light and flashes like a seam of quartz in the rocks. 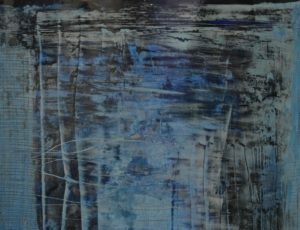 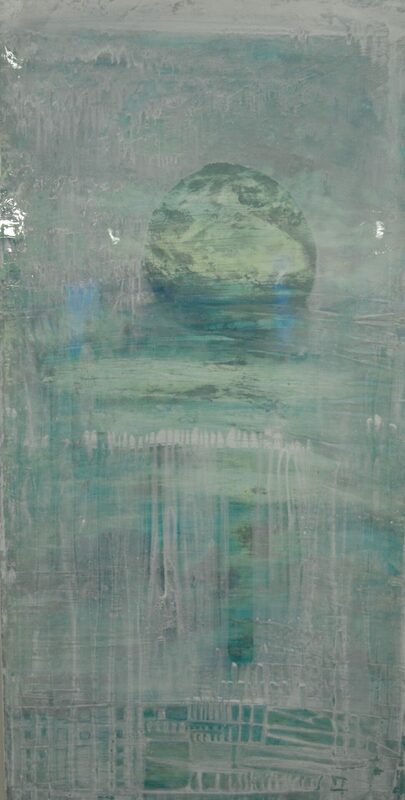 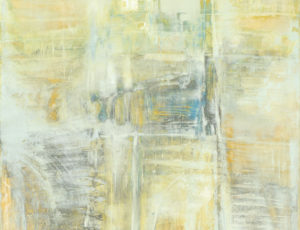 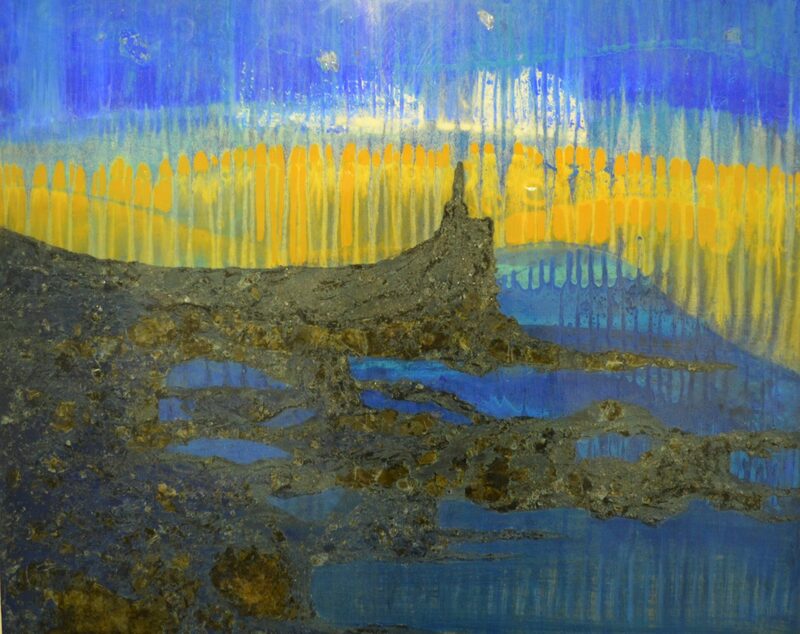 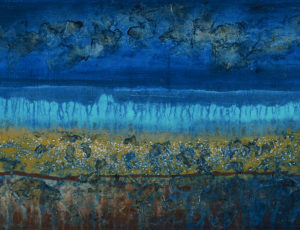 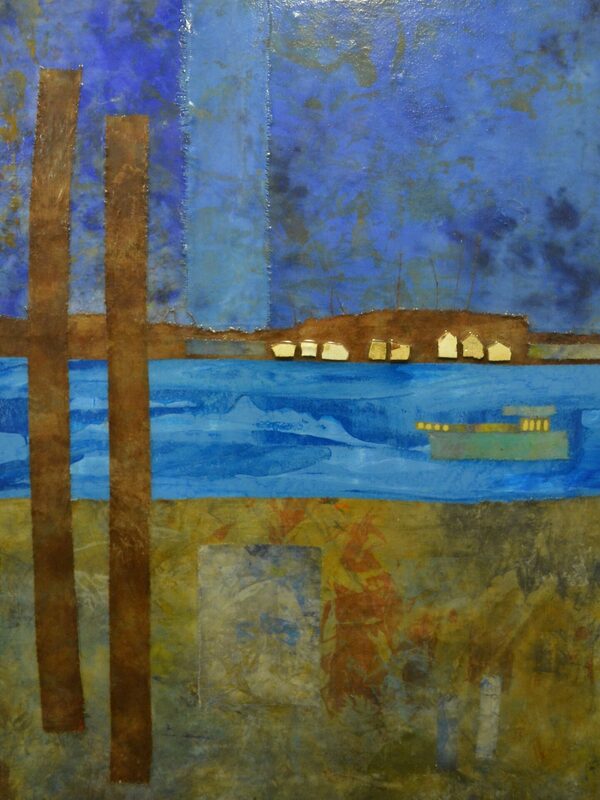 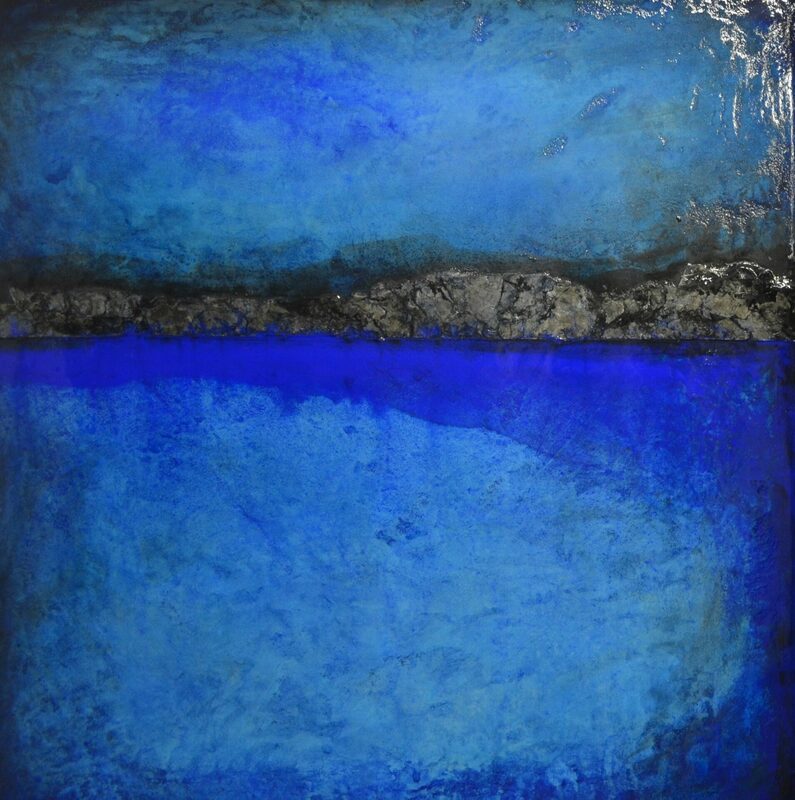 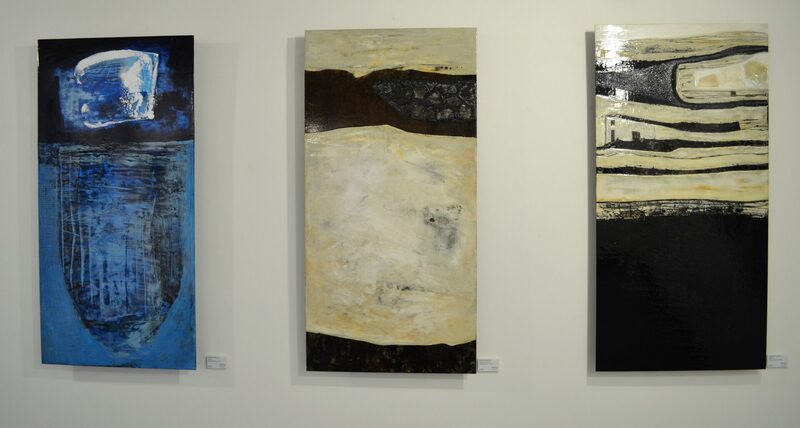 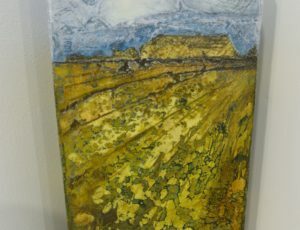 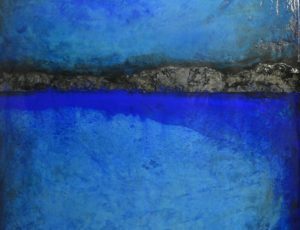 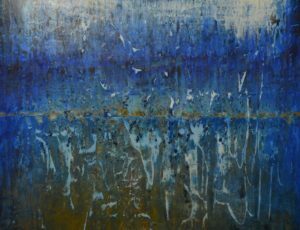 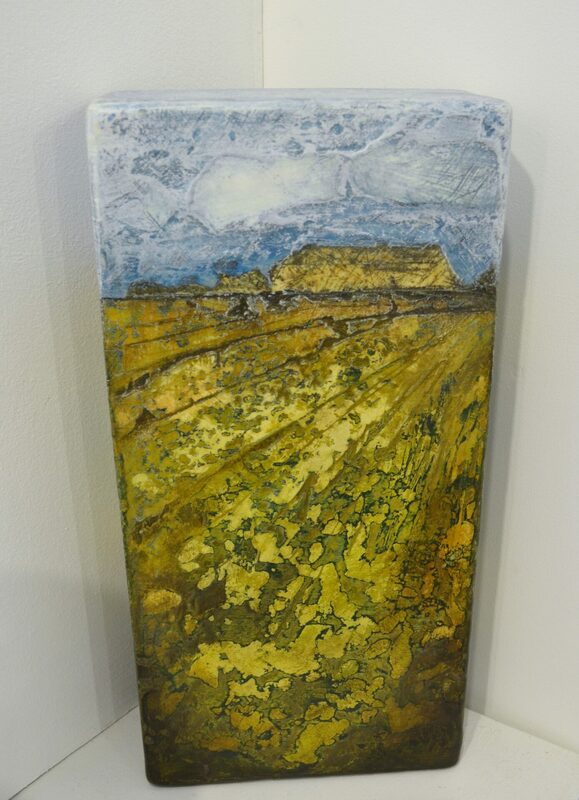 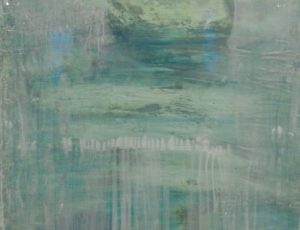 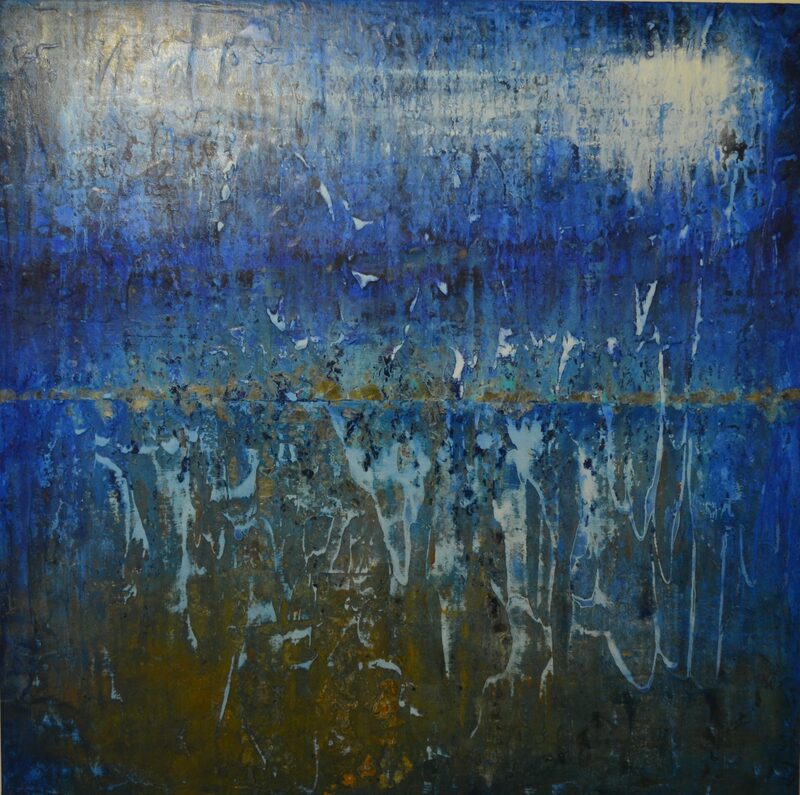 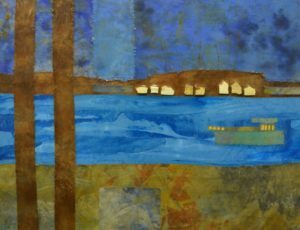 The acrylic paintings are on canvas, wood, aluminium and rusted steel, finished with beeswax for a softer feel, or resin. 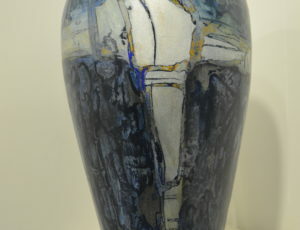 I have some 3D artworks including vases decorated with plaster and paint. 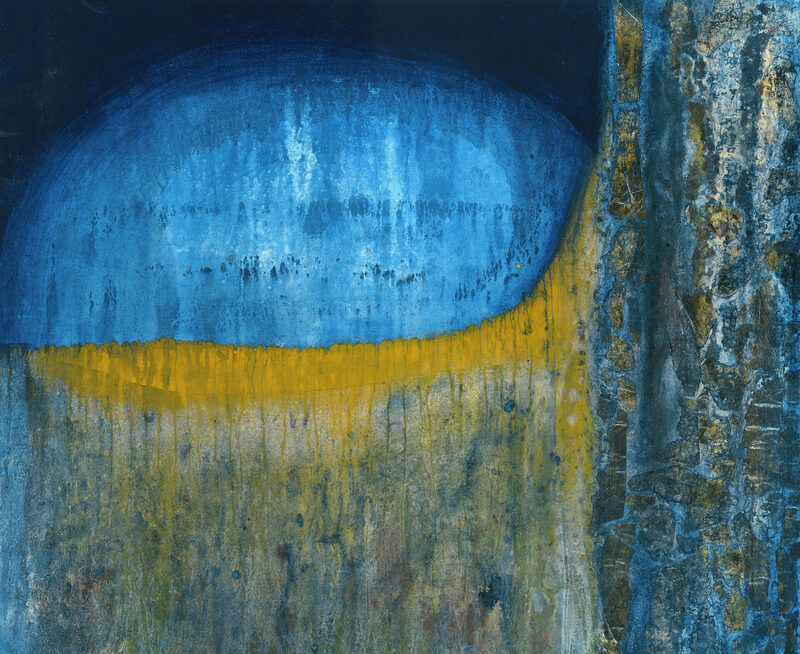 Hahnemuhle art prints, wooden postcards and gift cards are available. 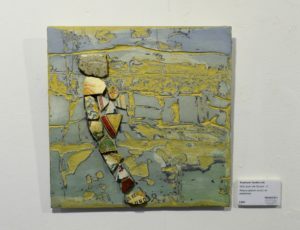 After leaving school Stephanie went to Blackpool College of Art for two years before joining a model agency and heading to Japan. 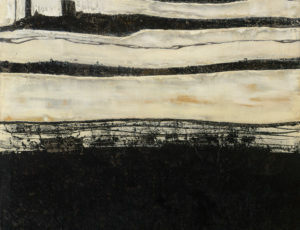 She spent her twenties working between Tokyo and London. 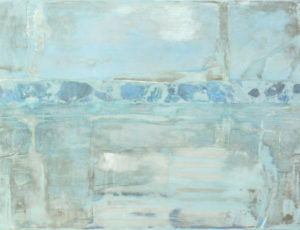 She turned her hand to songwriting as well as working in her mother’s flower shop, often painting in the back room. 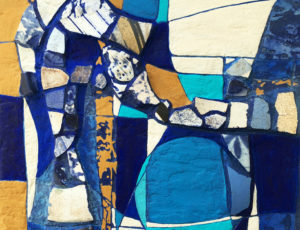 During her thirties Stephanie released three music albums under her maiden name Stephanie Kirkham. 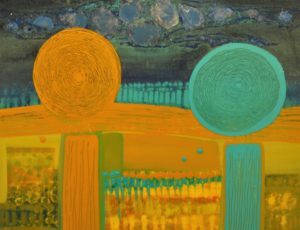 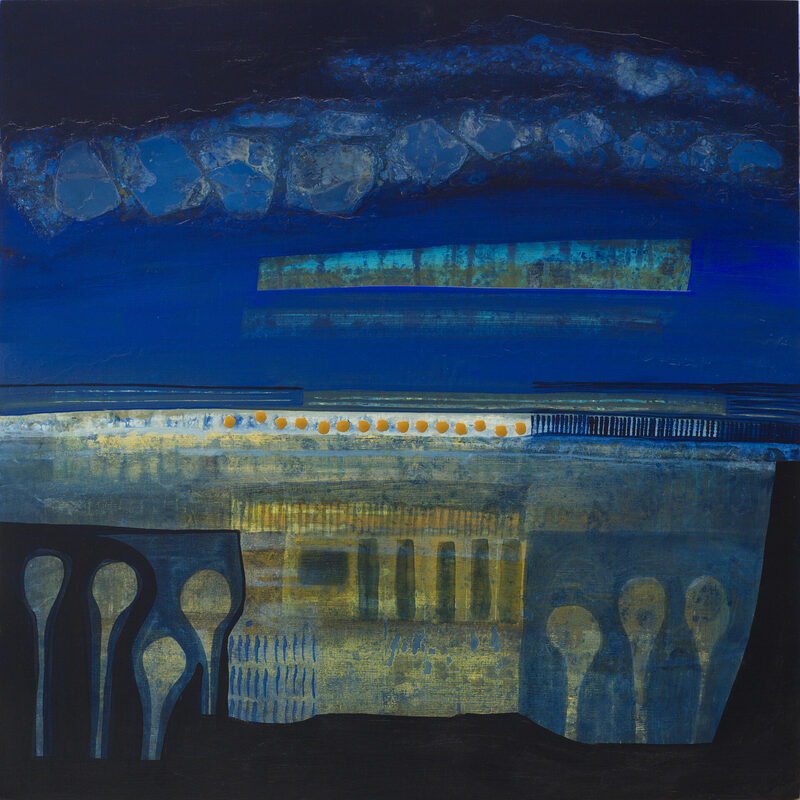 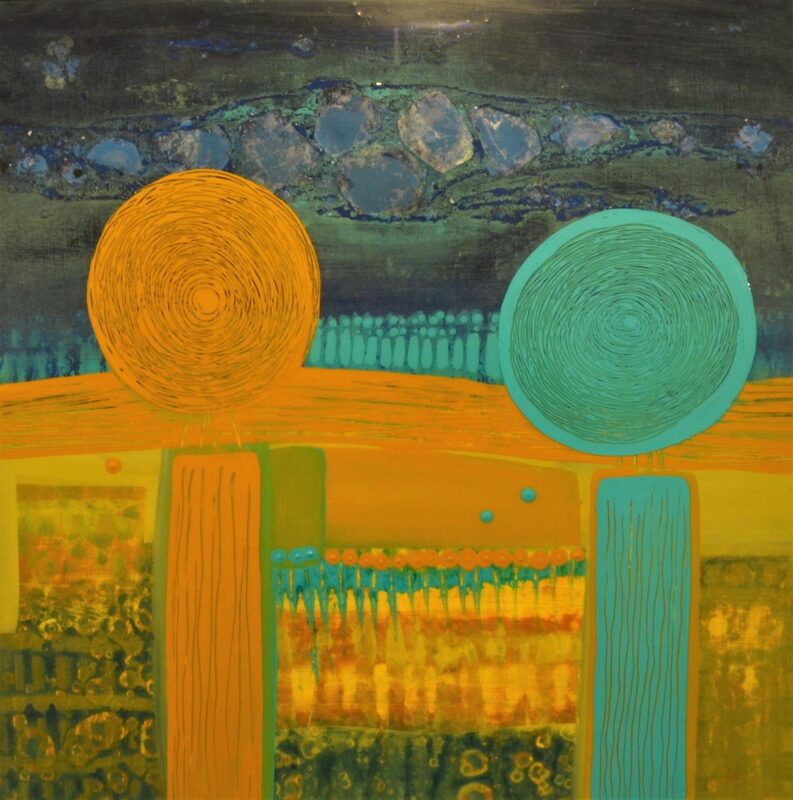 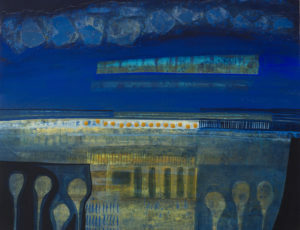 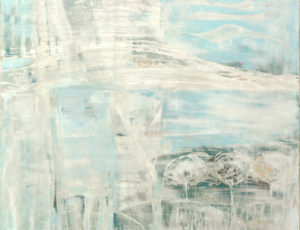 In her forties she relocated to Cornwall, married and began painting full-time. 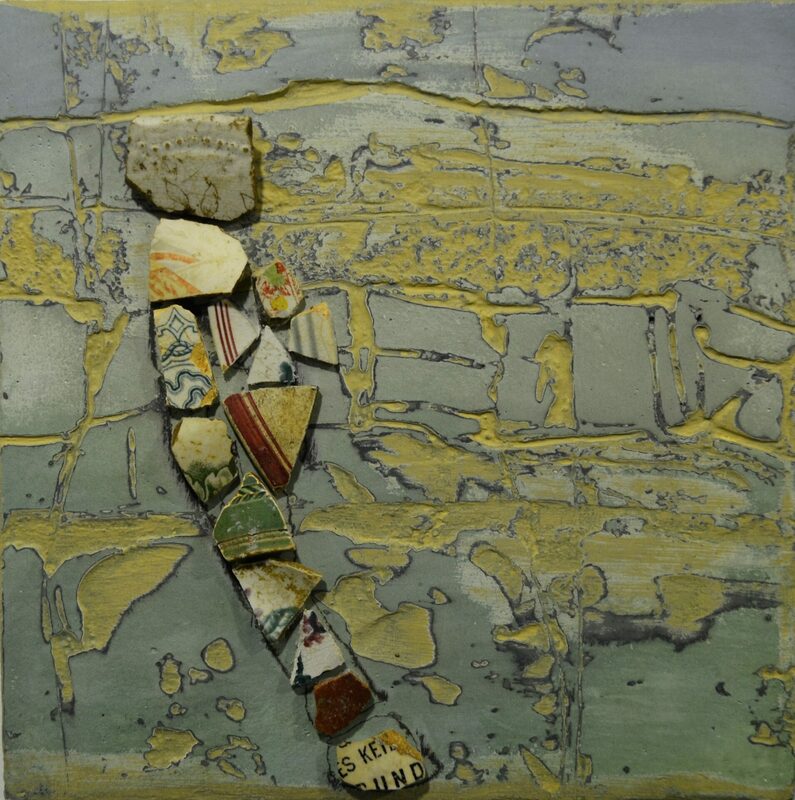 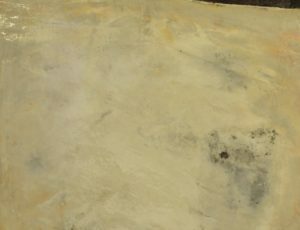 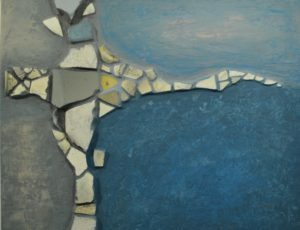 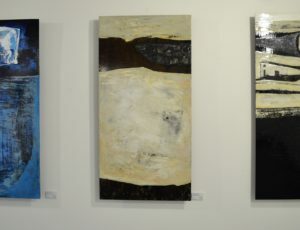 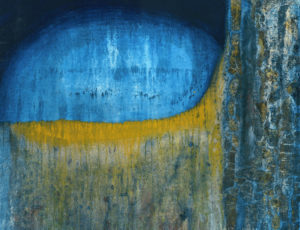 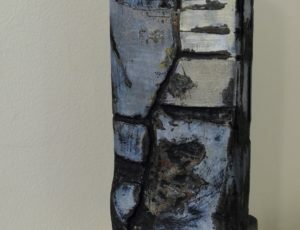 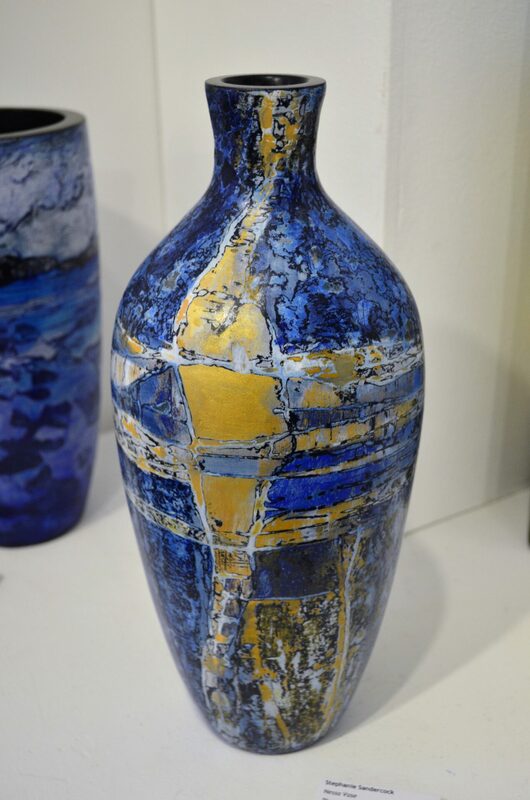 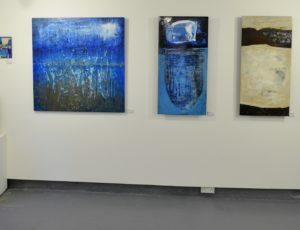 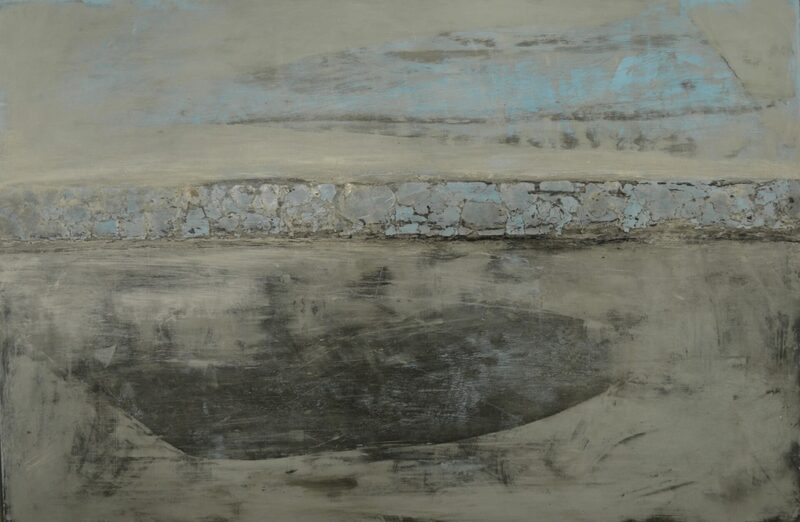 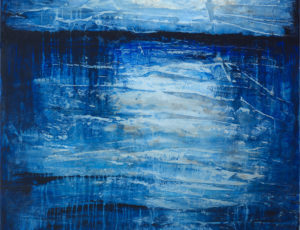 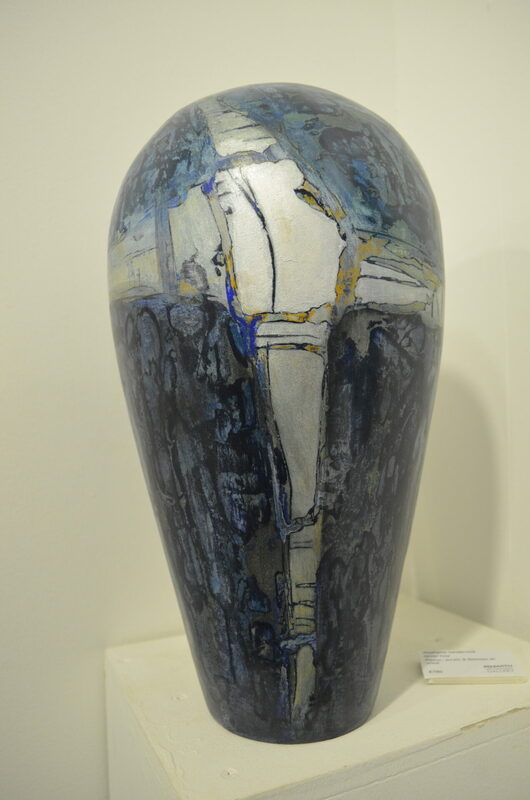 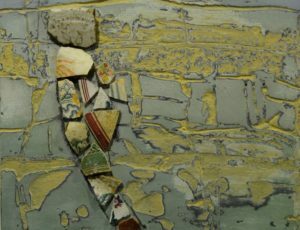 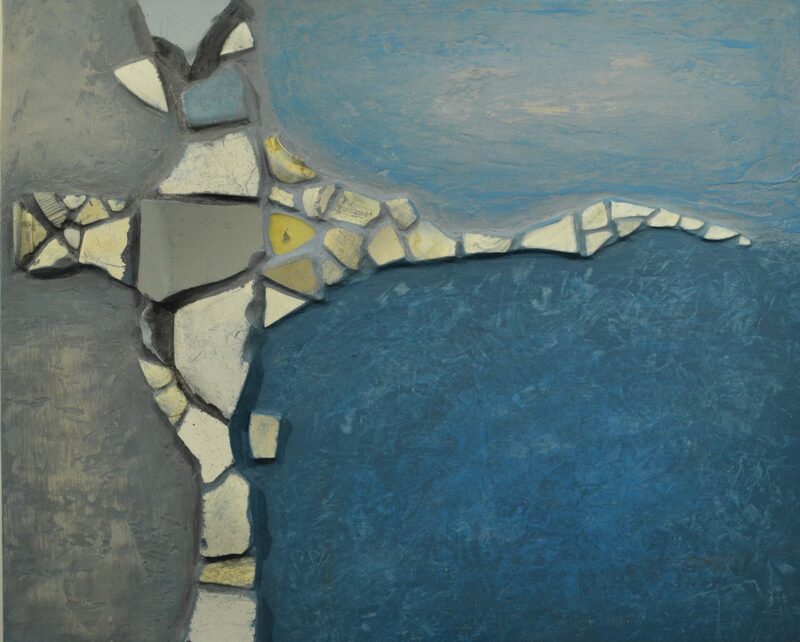 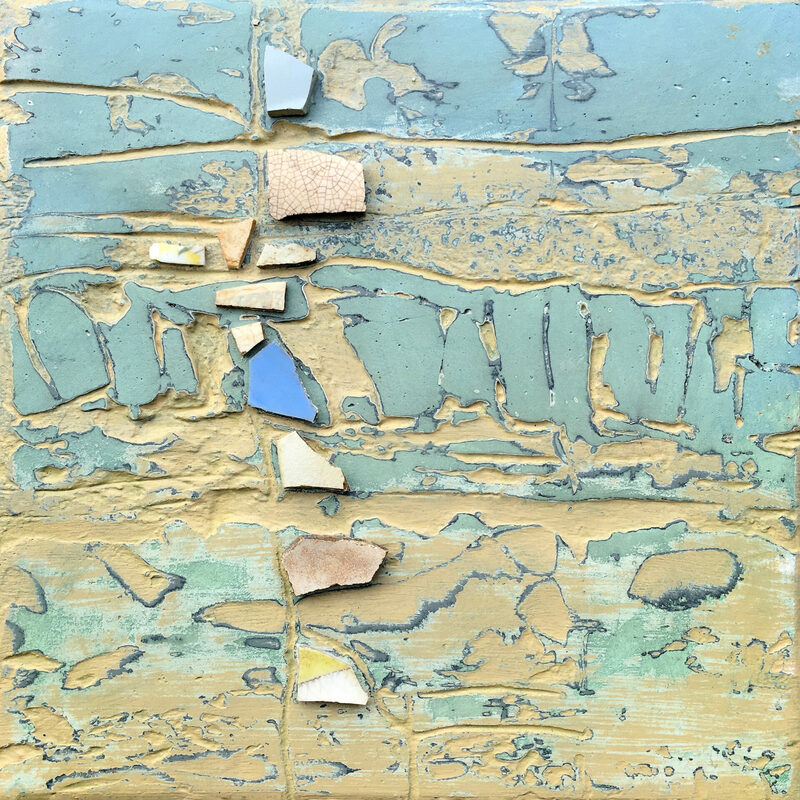 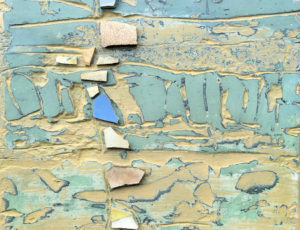 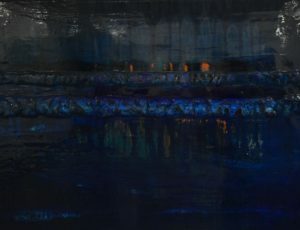 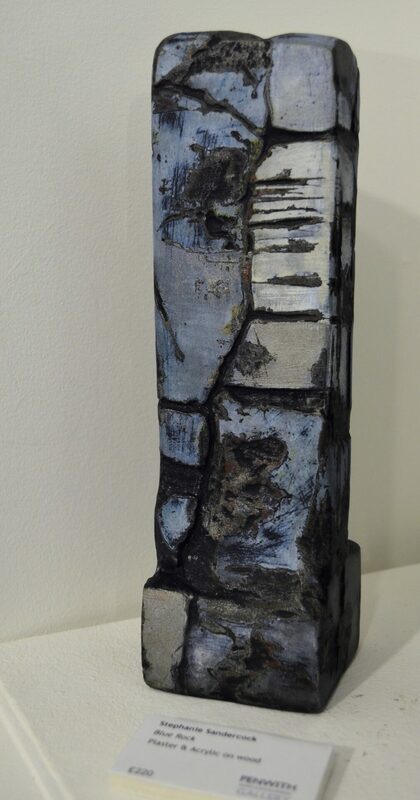 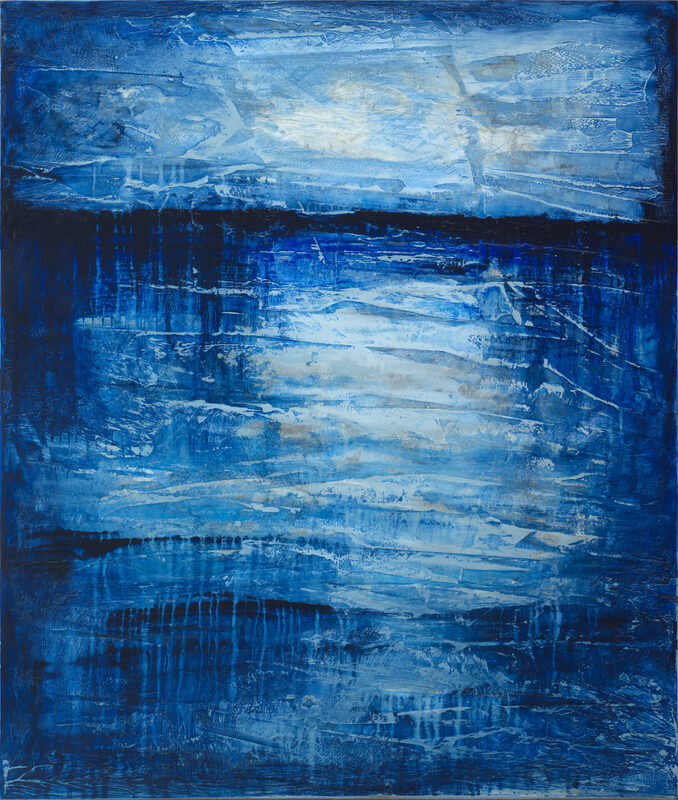 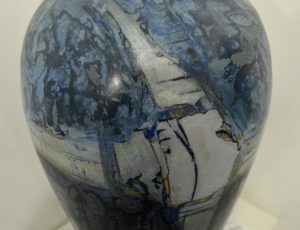 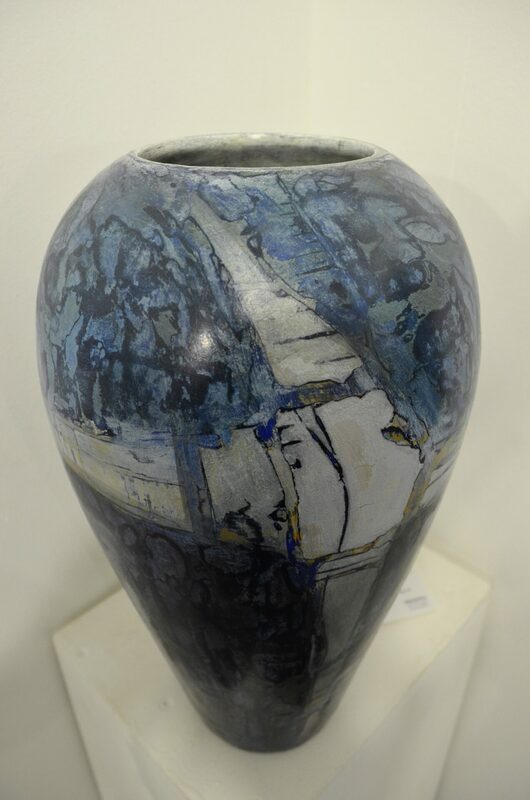 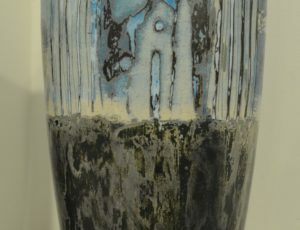 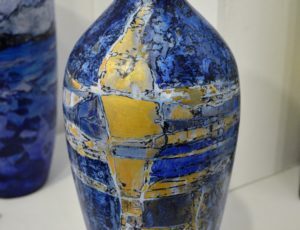 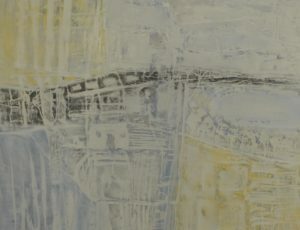 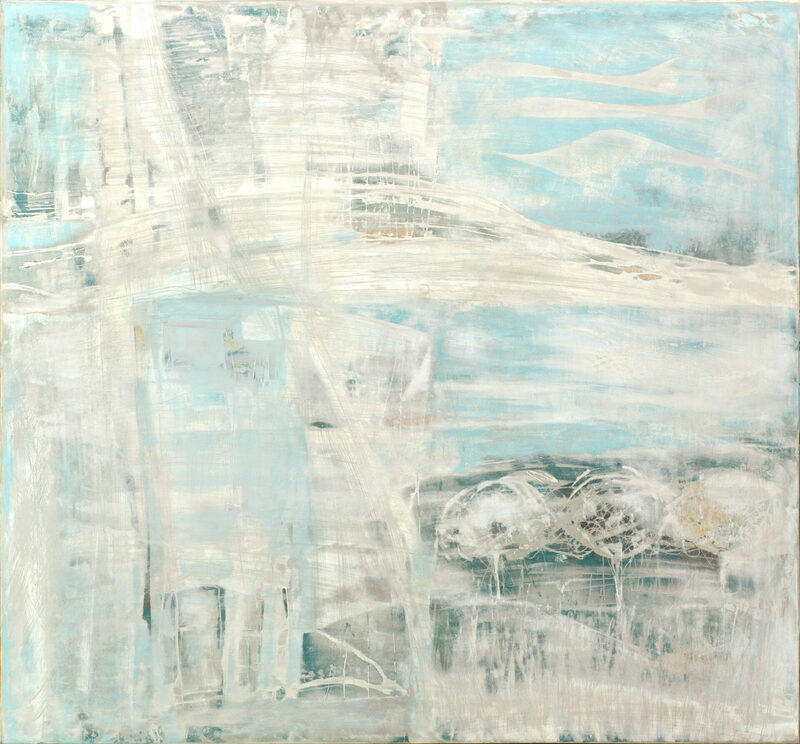 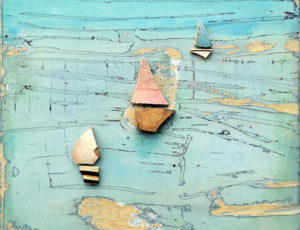 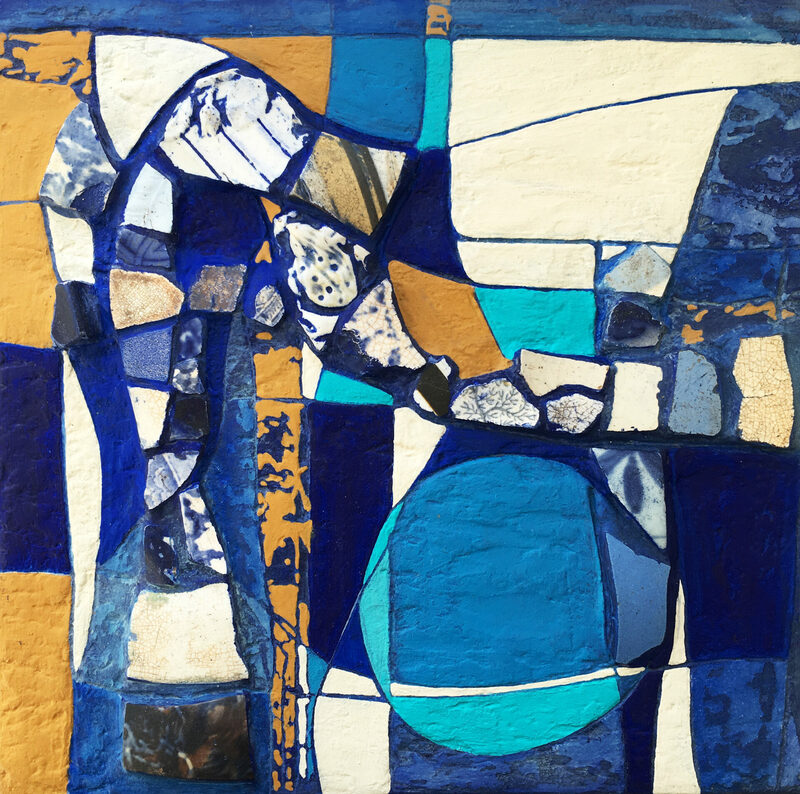 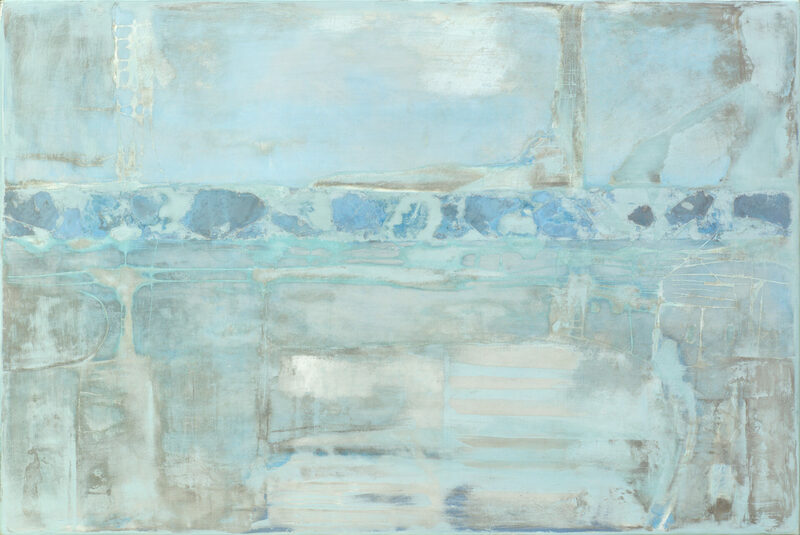 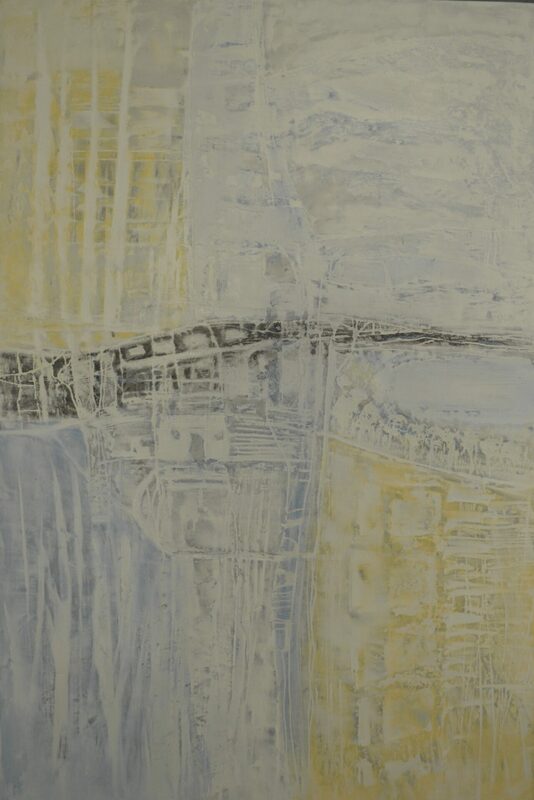 Her first solo exhibition ‘Gwithian Rocks’ was in August 2016 at The Penwith, and this her second – ‘From Godolphin to the Sea’ – contains 3D works and acrylic paintings using various plasters such as Italian limestone and marble and Moroccan Tadelakt including found broken pottery from the streams and ploughed fields around Godolphin.